Dr Steven Ricke is the Donald ‘Buddy’ Wray Chair in Food Safety and Director of the Center for Food Safety in the Institute of Food Science and Engineering at the University of Arkansas, USA. His awards include the University of Arkansas John White Outstanding Research Award, the Poultry Science Research Award and the American Egg Board Award, as well as being named an Arkansas Association for Food Protection Fellow, for his outstanding contributions to food safety research. This collection summarises current research on the composition and function of the gastrointestinal tract in poultry, the factors that affect its function, and nutritional strategies to optimise poultry nutrition, health and environmental impact. Chapters summarise advances in sequencing and omics technologies to understand gut function, current understanding of the gut microbiota, the development of the gut microbiome over the life of the bird, and gut function in nutrient processing and immune response. The book reviews what we know about factors affecting gut function and health, including gastrointestinal diseases, the interaction between pathogens and the gut as well the impact of antibiotics. The final group of chapters discuss current research on the effectiveness of feed additives in optimising gut health, including probiotics, prebiotics, synbiotics, antimicrobials, essential oils and other botanicals as well as cereal grains. 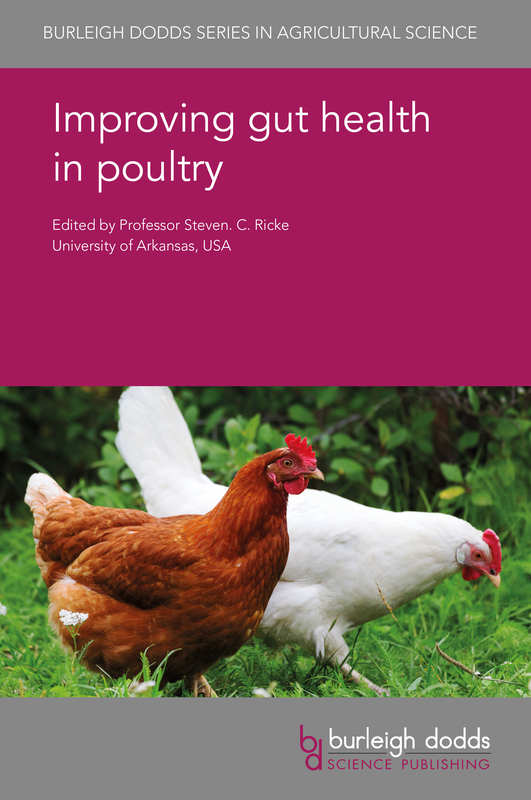 "The proposed content of this book is a timely and comprehensive compilation of current knowledge on a topic that is of considerable interest to poultry scientists worldwide. The internationally renowned contributors as well as the editor are a guarantee of the high standard of the content."